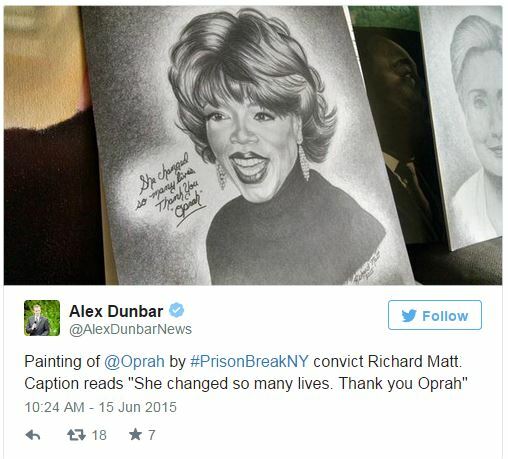 NY Prison Escapee’s Artwork Says A LOT About Him. Care To Guess What It Is? June 16, 2015 ~ Lorra B. Artwork that was discovered, painted by one of the infamous men who escaped from a New York State prison, not only shows off his incredible talent for painting, but the people his work features give quite a bit of insight into his beliefs, and you’ll likely get quite the kick out of it. The stellar skills that Matt possessed are only a part of the reason his work is unbelievable, however. To me, it’s who is featured in his pieces, and I’ll give you a hint — they’re not conservatives. This next one is a doozy. 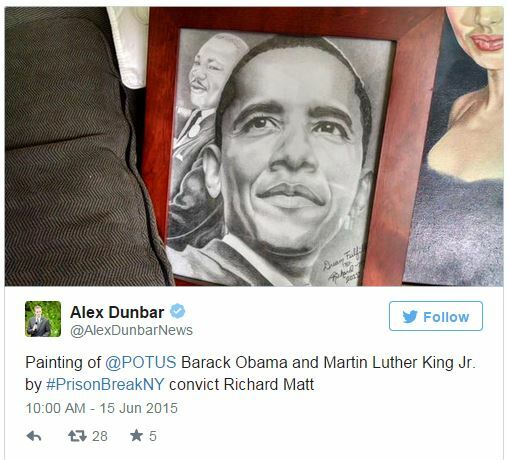 Not only is it nearly flawless, but it depicts a fellow liberal criminal. 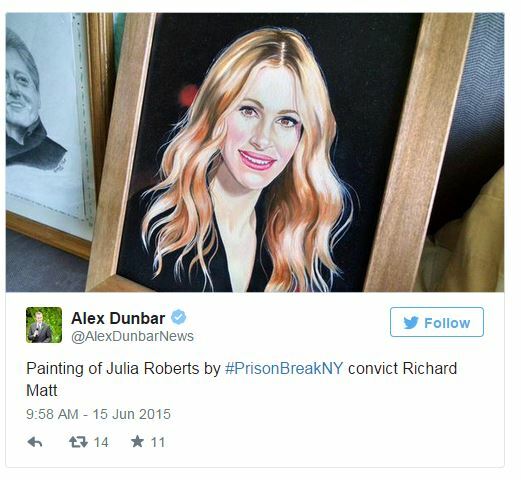 Speaking of liberal criminals, look who made an appearance in this photo (left of Julia Roberts). Quite telling, wouldn’t you say? Here’s a guy who thought it was okay to kill someone, then when he was caught and convicted of killing someone, he didn’t think he should have to take the punishment for it. 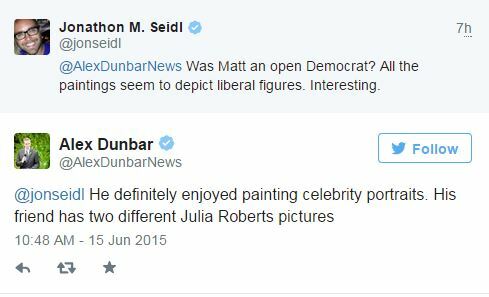 Although, to be fair, nobody truly knows Matt’s political leanings, and when someone from The Blaze asked Dunbar about that very thing, the reporter didn’t seem to have an answer. While his actual views aren’t known, I can say this much – I have yet to see a known liberal artist spend so much time and put so much detail into a painting of a conservative, so what’s that tell you? 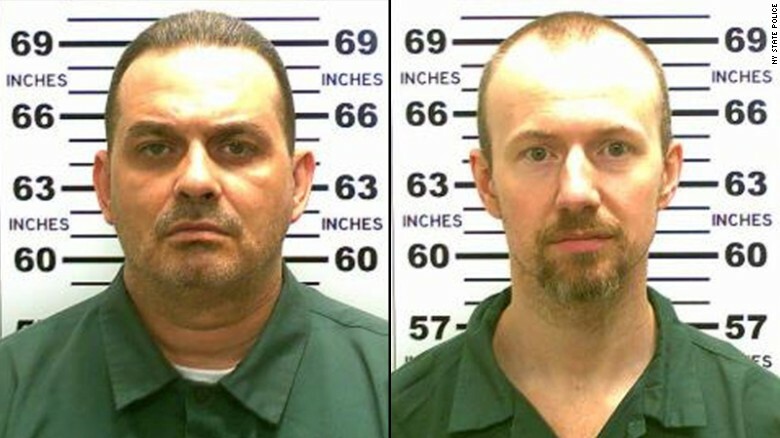 This entry was posted in Government, News, Politics and tagged conservative blognetwork, Mad World News, NY Prison escapees, Prison Escape, Richard Matt's artwork, The Blaze. Bookmark the permalink. You don’t seem to understand the mind if this criminal who was known to have a really high IQ. He paints paintings to get favors. If Republicans were in office in New York he would paint them. 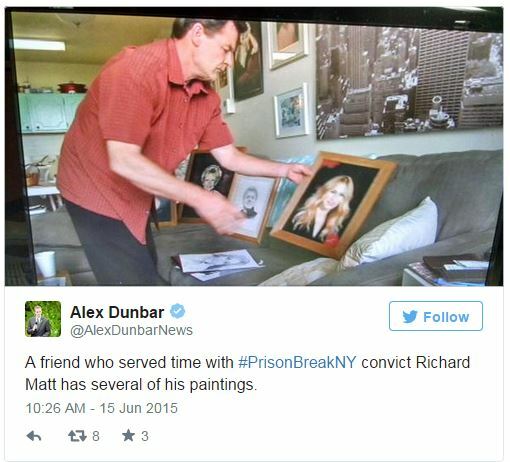 He gave paintings to the people who helped him escape. You are very naive. He is talented.. he was able to made obama & oprah look better than they really do! A stinking liberal…. wonder if he’s pro gun control? Indeed he was a good artist likely ended up on the slammer as the result of being a democrat or being a victim of the destruction of America since 1913 when the progressive party began under Woodrow Wilson. 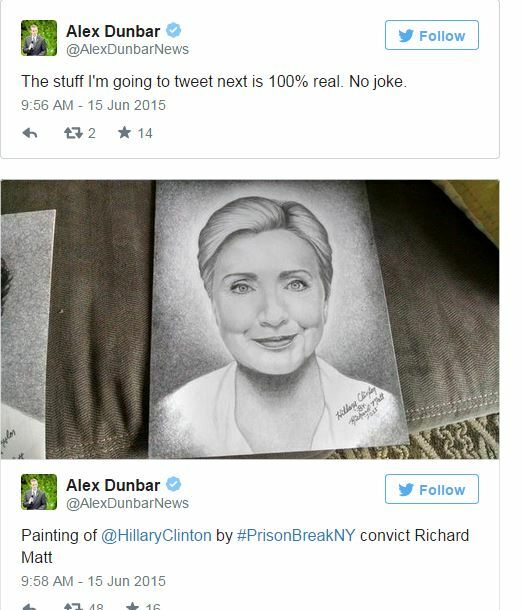 well, he is a really good artist….I guess if all I had was time on my hands I would be too lol!